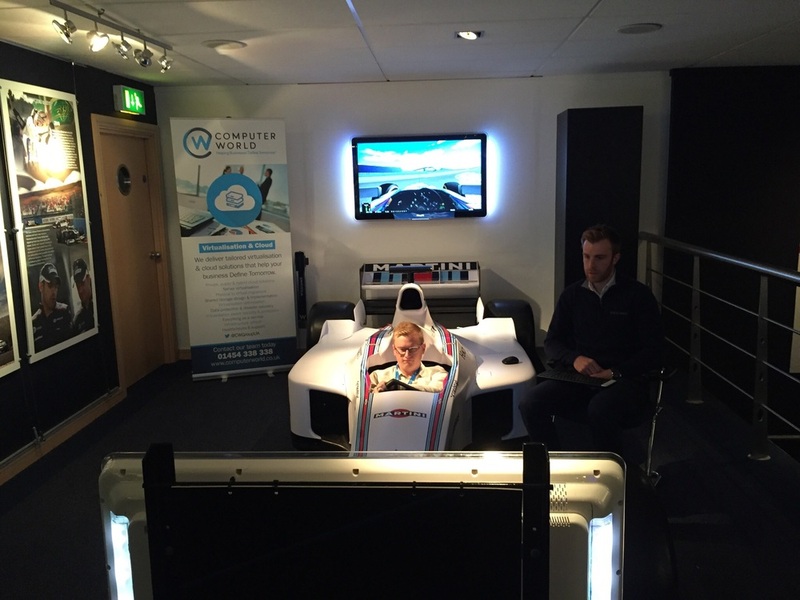 Today we have been hosting our customers at the fabulous Williams F1 Conference Centre in Oxfordshire. We are luckily enough to be joined by Dell's Dominique Vanhamme the director for Networking in EMEA and Joshua Couling NSX SE from VMware. 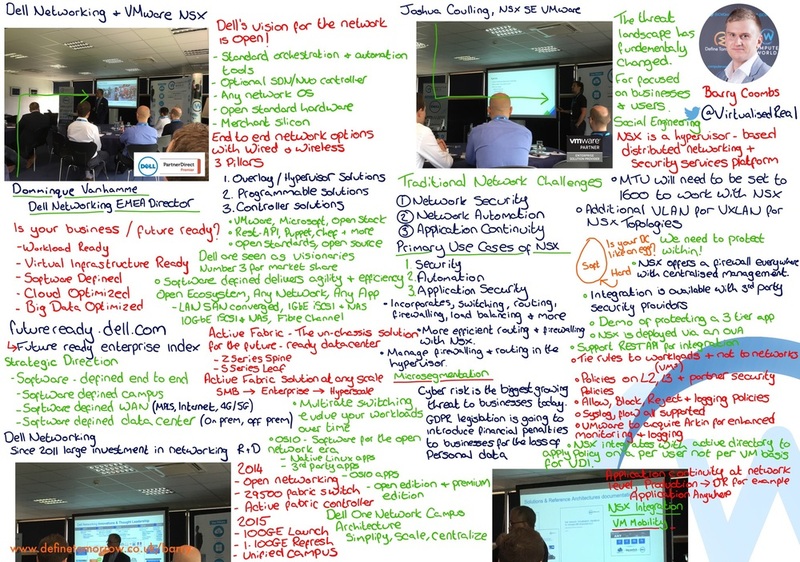 See below my doodle from the day summarising the Dell Networking and VMware NSX presentations. 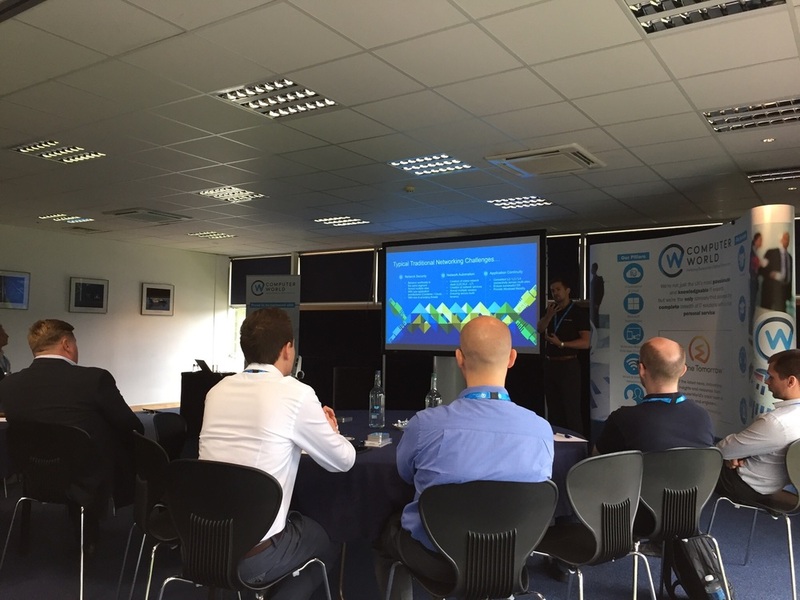 See below my presentation from the event where I discuss the pressure the business places on IT and the importance of ensuring that your network architecture is able to deliver a secure, flexible later to the modern applications that users demand whilst protecting the business against the major threat of cyber attacks. If you would like to know more about the event, click here.